In 2011, I wrote about forgiveness in response to Douglas Steere’s quote and thoughts it raised during a time of Worship-Sharing at my Quaker Meeting. That day, I focused on my response to interpersonal conflicts, disagreements, and misunderstandings. Now, after reading the novel The Crying Tree, I’m thinking again about the act of forgiveness in the face of violent crime. The book’s author, Naseem Rakha, spoke recently at Bellingham (WA) Friends Meeting, giving some background about how she came to write The Crying Tree and what she’s learned from that process. In 1996, she was assigned by NPR to cover the first execution in 34 years of a death row inmate in Oregon. Naseem’s research in order to write a story to be aired the day of the execution was the beginning of her examination of the death penalty. Eventually, it led her to write a novel based on the Oregon execution and others. Written with the integrity of a journalist and the literary skill of a storyteller, the book delves deep into the complexities of crime, punishment, and forgiveness. Irene, one of the characters in The Crying Tree, adds what Douglas Steere would call a “fresh act” when she writes letters to her son’s killer as a way to heal her pain and anger. The reactions of others to Irene’s eventual forgiveness of him span the breadth of views about crime and punishment, giving readers insight into a wide range of perspectives. As part of her research, Raseem talked with many people on death row as well as family members of victims. Their experiences convinced her of the healing power of face-to-face meetings between offenders and victims. This year, the legislature in my home state of Washington took a first step in supporting such healing by adopting a Restorative Justice bill. Drafted with leadership from Friends Committee on Washington Public Policy, the law encourages a voluntary process of bringing together certain juvenile offenders and those harmed by their actions. Typically, theses face-to-face encounters also include others in the community, including family and support systems around the offenders and victims. The goal is for these parties to arrive at a mutually acceptable approach—a fresh act­—to encourage the offender to take responsibility for righting the wrong that has been done. 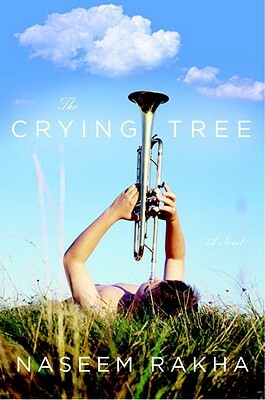 The story of The Crying Tree is far from my personal experience, and I pray that I never have to endure the pain and sorrow of the book’s characters. But I know that we all are affected by our culture’s values and responses to crime. Quaker faith and practice calls us to forgiveness and offers some healing alternatives. Recent issues of Friends Journal (March 2012) and Western Friend (June 2012) focused on the long history of Friends’ witness for restorative justice and some of the ways that continues today. Now, I’ve added The Crying Tree as another source for seeking the path of forgiveness.